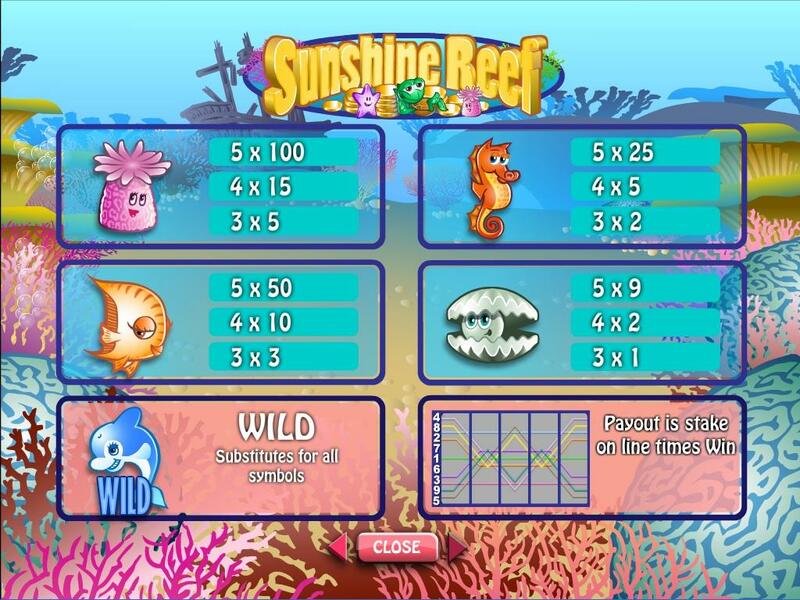 Sunshine Reef is a game that looks like it was taken right out of a book with stories for children. That’s the impression you get when you look at the characters that appear in this ocean themed slot machine, all of them cute and happy looking creatures which resemble the baby versions rather than the adults of each species. 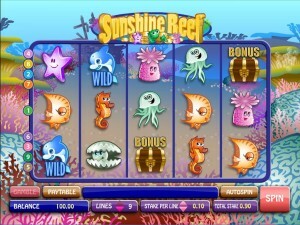 The slot is offered by Microgaming, and it offers a limited number of features, in line with the number of lines. This cute little game gets only 9 paylines that you can bet on. 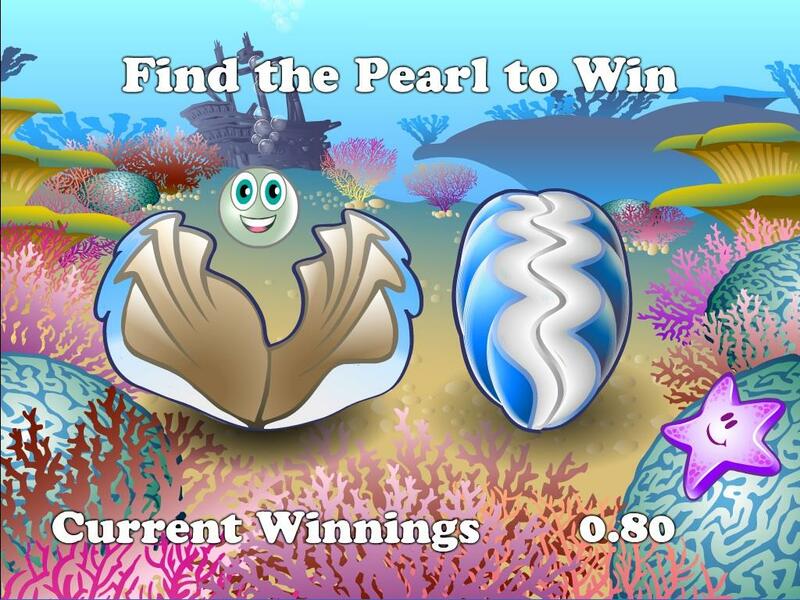 There is a bonus game and a wild, the only two features that you are offered. The prize is impressive at $50,000, good enough to counter the parts that are less so. 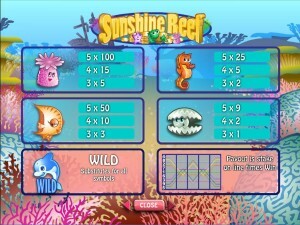 As features, the game relies mostly on a wild symbol and on a simple bonus game. There isn’t much to look out for in this part of the slot. The Dolphin is the symbol which is used as the wild of the game. You’re going to see this symbol appear in the game only as a substitute for others, without getting paid by it directly. Dolphin symbols can replace any other symbol of the slot, even the bonus symbols, so whenever it appears there is a chance that it will be able to take the place of another icon and form a combo. 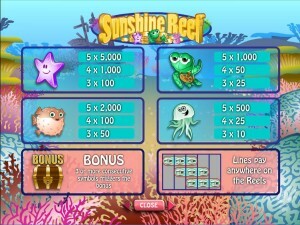 It’s not a very interesting or complex bonus game that is offered in Sunshine Reef. You simply need three bonus symbols to appear in consecutive order on the same payline, and your reward will be the bonus game. They can even be replaced with wilds, at least some of them, so the odds of the feature triggering get even better. The game places three treasure chests in front of you, onboard a sunken ship, and once you pick one of them you find out what your bonus prize is. When a bet is placed, there are 9 lines which are activated. Line bets go from $0.01 to $10, so you can spend as much as $90 on a single spin. A 5,000 coins top payout is on the line, which might not sound like much, but in this case it can mean up to $50,000. 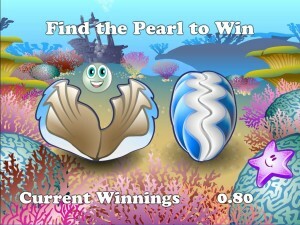 As I’ve said, it’s a very cheerful looking bunch of sea creatures that the game offers here. You have childish versions of the usual dolphins, starfish, seahorses and octopuses. The background shows you coral, ocean plant life and a sunken wooden ship in the distance, presumably one of the galleons which carried treasures from the colonies to Europe. Symbols: Treasure Chest (bonus), Dolphin (wild), Starfish (5,000 coins), Puffer Fish (2,000 coins), Turtle (1,000 coins), Octopus (500 coins), Pink Plant (100 coins), Fish (50 coins), Seahorse (25 coins) and Pearl Clam (9 coins). The game’s childish design might annoy some, as will the lack the great features, but I’d say that the top prize makes up for it. 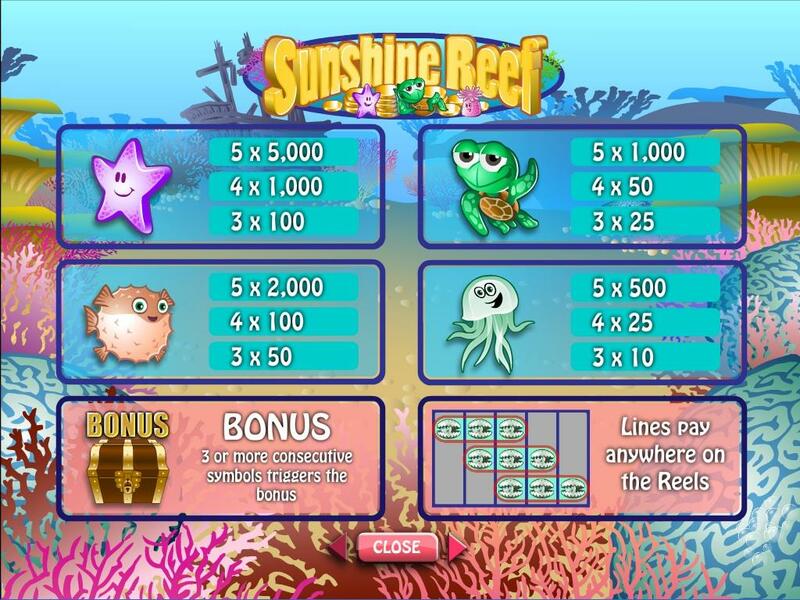 The Sunshine Reef slot machine is offered through the Microgaming platform, so if you want to play it for real or just to practice, look out for casinos that use it.